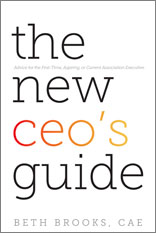 The first days, weeks, even year for a new CEO are critical. There's not really time for on-the-job training. You'll likely walk in the door and confront a host of things--board meeting preparation, forthcoming conference, complex contracts--that have to be dealt with immediately. And, you know what they say about first impressions, right? This initial honeymoon period can set the stage for long-term success or a much earlier departure than what you had in mind.